THE WRITING BUDDHA - Opinions | Books | Movies: Chief Minister's Mistress by Joygopal (Book Review- 4*/5) !!! 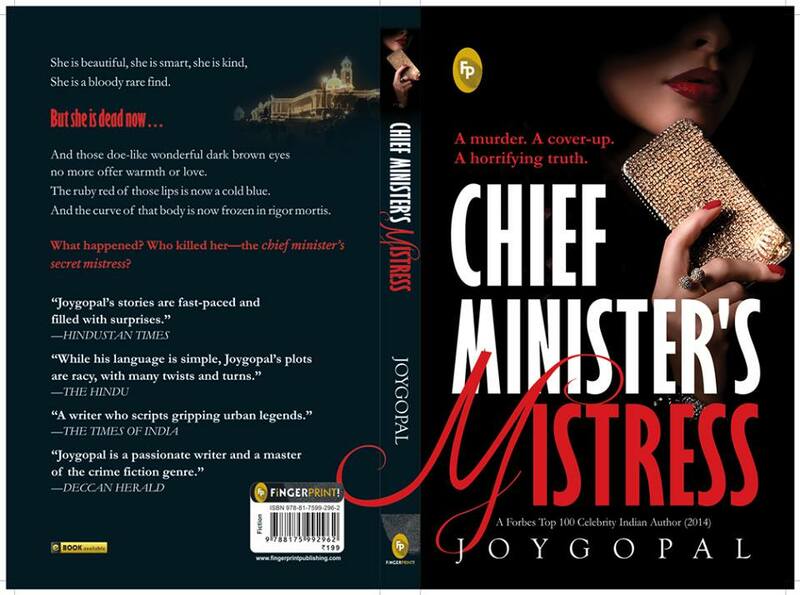 Chief Minister's Mistress by Joygopal (Book Review- 4*/5) !!! People might like Penguin or Random House as their favorite publishers but I am undoubtedly in love with FingerPrint. Almost 99% of their books that I have read are wonderful and thought-provoking. Even though they are majorly in fiction but still their editorial team is incredible who make sure that their books are not just story but something more than that. 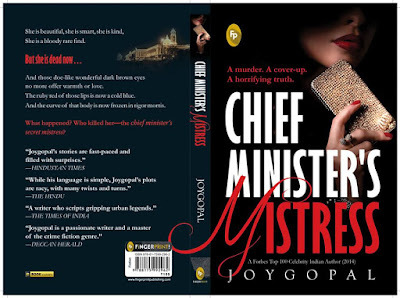 I am just done reading "Chief Minister's Mistress" written by Joygopal. Before starting to review, I would like to tell about this great man- this is his 16th book in last 5 years. Yes, you heard it right. He is vindicated in Limca Book of Records for this achievement of his. I have been following him from last few years and his speed of releasing novels is unstoppable. Though this is the first time I have read any of his books and I am far more than satisfied considering the high expectations I had from him. Joygopal's writing style is very simple which made it easier for me to read the book as fast as possible because he has definitely written a great page-turner. This book deserves to be finished in one sitting itself. Right from the first page after prologue, the book goes on in the same fast pace and doesn't let you lose the interest from it. The characters are perfectly woven and you can imagine each one of them exactly how they were in the mind of the author. As it's a crime thriller, you wish to predict wrongly who must have killed the victim and that's the greatness of this book. You name almost every character in your mind and when the truth gets revealed in the end, you bang your head to wall for not guessing it. It's the moment where the author gets a little more rating than what he was about to get by the reader. Joygopal calls this book his most ambitious project and it looks the way he have handled the story. The best part of this crime thriller is that it's around 225 pages when generally on the name of thriller, people do not close it down before 350 pages. The best editing has been performed on this manuscript. In the anti-climax, the way one of the most prominent character dies makes you more excited that the truth is about to be revealed. And the best part why I loved the book in the end is the way things are closed down after the killer is revealed. Not an easy task to keep the interest alive among readers even when the suspense is over but that shows the effort put in by the author in this story. I give this book 4 stars out of 5. GO FOR IT!